Laurie Nichols Fitness & Tutor Training Centre Ltd was established in February 2015 by Laurie Small who has been in the fitness industry for 19 years. 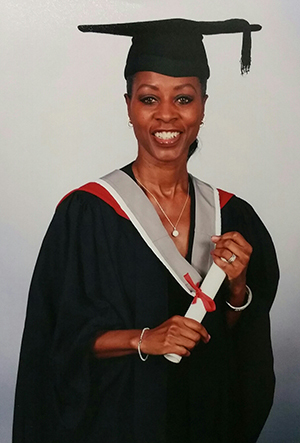 As a member of a gym and participant within group exercise classes, she decided to become an instructor, quickly establishing herself within the company to become a group exercise lead overseeing the leisure centres and their instructors. With a passion for knowledge Laurie embarked on a Tutor Trainers course which led her to delivering (CPD) continual performance development courses that were reps recognised to Instructors, being able to help develop their knowledge and understanding of group exercise. Laurie’s desire and enthusiasm was fuelled when she was asked to cover a course delivering a first diploma in sport at a college, prompting her to further upgrade her skills by completing a Level 5 Diploma in Education and Training Course. Laurie also helped to establish and run for 12 years Fit and Funky, a fitness holiday experience company that provides holidays for members within carefully selected locations mainly around Europe. In 2011 Laurie created a Group Exercise Gym programme class which she called GymTone for the purpose of integrating people into both group exercise and the gym. This class was introduced into Newham Leisure Centre and became very successful incorporating as many as 35 people consistently in the class at any one time. Laurie Nichols Fitness & Tutor Training Centre Ltd Is a leading health and fitness industry training provider that offers courses to learners wanting to pursue a career as a fitness instructor. We have a face-to-face and hands-on learning approach and our courses are designed to engage, challenge and prepare you for real leadership. Our vision is clearly focused on providing accessible, affordable career instruction that forwards better health and greater opportunity, raising standards throughout the health and fitness Industry. Laurie Nichols Fitness Training Centre Ltd is registered with the UK Register of Learning Providers.